Dance the night away at four of the hottest venues on the Las Vegas Strip. 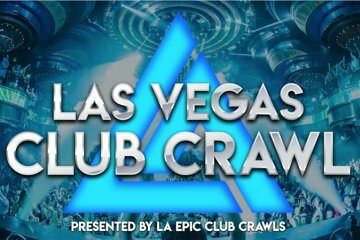 This Vegas club crawl includes VIP entry to four top bars and nightclubs, where you’ll bypass any lines. You’re escorted to places like Hyde Lounge, Rock House and Chateau by an in-the-know guide while enjoying drink specials, party games and more on this exciting night out. Check in begins at 8 PM at the first venue on the lineup. Guests have a check in deadline of 10 PM to join us at the second venue. Must be 21+. Dress code is enforced, so please dress to impress. It's a must-do attraction if you are new in LV and wanna have fun . Good deal, great locations, great guide.